17. 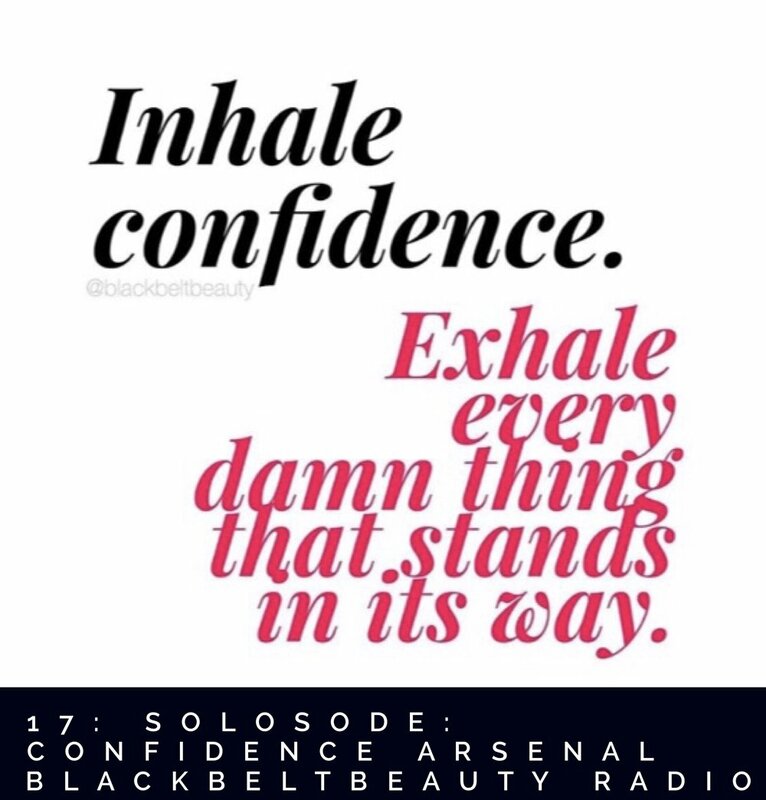 SOLOSODE- CONFIDENCE ARSENAL: TOOLS THAT KEEP YOUR CONFIDENCE STEADY WHEN ADVERSITIES CHALLENGE IT. Let's be REAL- We all have face those moments when our confidence feels lessened and nothing feels more uncomfortable than trying to get through difficult moments without the powerful, supportive energy of CONFIDENCE. In this new SOLOSODE I'm share my personal arsenal of confidence supportive tools that I call upon to keep my most secured self strong & STEADY at times when that part of me feels threatened. My hope is that some of, if not all of these confidence supportive tools, will prove to be just as useful and straight up FAIL PROOF for you as they are for me. The best part is all of these tools require NOTHING outside of YOU to implement them into your process when you need your most confident self to be leading you. They will ALWAYS there for you when you need them. Let me know what you think and these tools resonate with you in the comments or DM via @blackbeltbeauty I LOVE hearing from all of you.